On this date in 1964 the oldest known unitary organism, Prometheus, a Great Basin Bristlecone Pine (Pinus longaeva) tree growing near the tree line on Wheeler Peak in eastern Nevada was cut down by a graduate student and United States Forest Service personnel for research purposes. The tree was at least 4862 years old and possibly more than 5000 years. The people involved supposedly did not know of its world-record age before the cutting. However, the circumstances and decision-making process leading to the felling of the tree remain controversial; not all of the basic facts are agreed upon by all involved. The name of the tree refers to the mythological figure Prometheus, who stole fire from the gods and gave it to humans. The designation WPN-114 was given by the original researcher, Donald Rusk Currey, and refers to the 114th tree sampled by him for his research in Nevada’s White Pine County. Currey originally aged the tree at, minimally, 4844 years. A few years later, this was increased to 4862 years by Donald Graybill of the University of Arizona’s Laboratory of Tree-Ring Research. However, these ring counts were done via borings on a trunk cross section taken about 2.5 m (8 feet) above the original germination point of the tree, because the innermost rings were missing below that point. 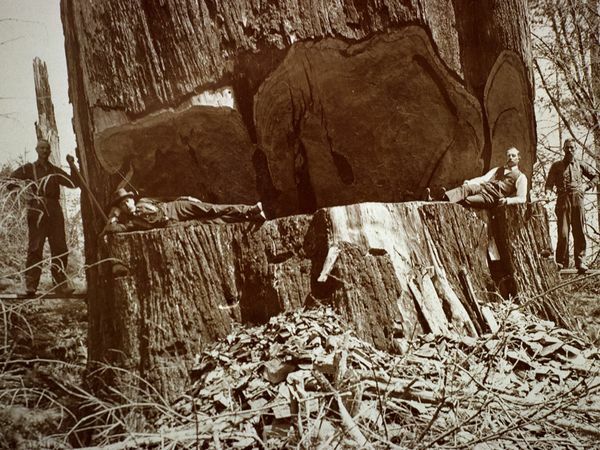 Adjusting Graybill’s figure of 4862 by adding in the estimated number of years required to reach this height, plus a correction for the estimated number of missing rings (which are not uncommon in trees growing at the tree line), it is probable that the tree was at least 5000 years old when felled. 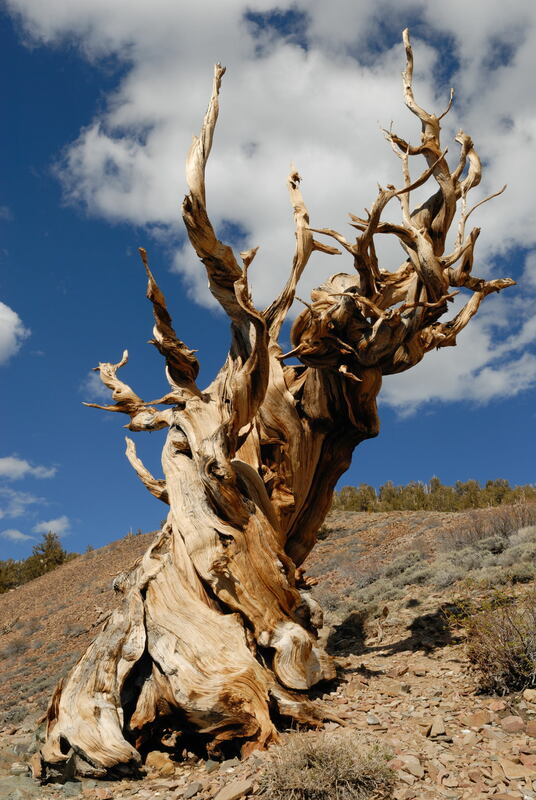 This makes it the oldest unitary organism ever discovered, exceeding even the Methuselah tree of the White Mountains’ Schulman Grove, in California by two to three hundred years. Methuselah, thankfully, is still alive and its location is kept secret to prevent harm caused by tourism. Whether Prometheus should be considered the oldest organism ever known depends on the definition of “oldest” and “organism.” Certain sprouting (clonal) organisms, such as the creosote bush or aspen, may have older representatives if the entire clonal organism is considered. Under this standard, the oldest living organism is a grove of quaking aspens in Utah known as Pando, at perhaps as much as 80,000 years old. However, in a clonal organism the individual clonal stems are nowhere near as old, and no part of the organism at any given point in time is particularly old. Prometheus was thus the oldest non-clonal organism yet discovered. Very old trees can be very useful to archeologists and climate historians. Dendochronologists (tree ring experts), use the fact that the widths of tree rings vary year by year, depending on weather conditions during each growing season, to build up chronological linear tree ring profiles (that look something like bar codes). By matching these base profiles with ring patterns on wooden components in buildings from archeological sites, they can determine the age of these structures very precisely – much more accurately than by any other method, such as carbon 14 dating. Climate historians can use those same patterns to track long terms changes in weather. Thus, for research purposes, the older the tree the better. A tree does not have to be cut down in order to get an accurate ring profile. It is possible to take core samples by boring into the tree and then examining the rings under a microscope. But in the earlier part of the 20th century there were fewer qualms than nowadays about felling a giant old tree. In fact it was considered an act of triumph as shown here. 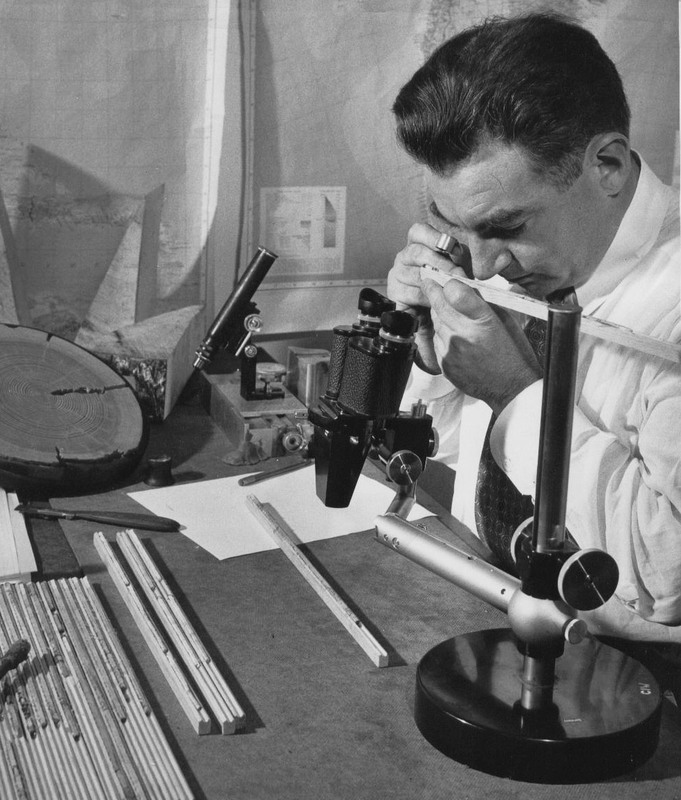 In the 1950s dendrochronologists were making active efforts at finding the oldest living tree species, in order to use the analysis of the rings for various research purposes. Bristlecone pines in the White Mountains of California and elsewhere were found by Edward Schulman to be older than any species yet discovered. This spurred interest in finding very old bristlecones, possibly older than the Methuselah tree, aged by Schulman in 1957 at over 4700 years. Donald R. Currey was a graduate student at the University of North Carolina at Chapel Hill studying the climate dynamics of the Little Ice Age using dendrochronology techniques. In 1963 he became aware of the bristlecone populations in the Snake Range in general, and on Wheeler Peak in particular. Based on the size, growth rate and growth forms of some of the trees he became convinced that some very old specimens existed on the mountain, cored some of them, and found trees exceeding 3,000 years old. However, Currey was not able to obtain a continuous series of overlapping cores from WPN-114. Here, stories diverge. It is not clear whether Currey requested, or Forest Service personnel suggested, that he cut down and section the tree in lieu of being able to core it. There is also some uncertainty as to why a core sample could not be obtained. One version has it that he broke or lodged his only long increment borer and could not obtain another before the end of the field season, another claims he broke two of them, while another suggests that a core sample was too difficult to obtain and also would not provide as much definitive information as a full cross section of the tree would. 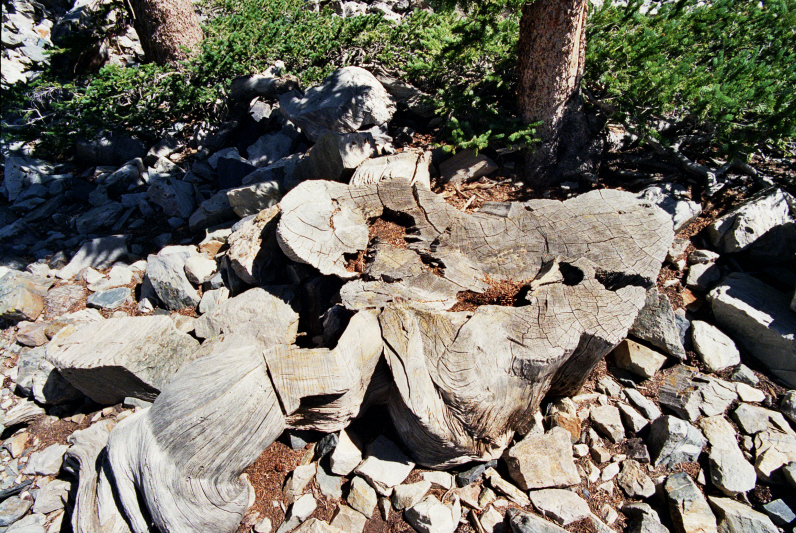 In addition, there are conflicting views over whether at the time of felling, Prometheus was known to be unique in the Wheeler Peak grove. It is reported that Currey and/or the Forest Service personnel who authorized the cutting believed the tree was just one of many large, very old trees in the grove. Others, at least one of whom was involved in the decision-making and tree cutting, believed that the tree was clearly unique — obviously older than other trees in the area. Some people involved have said that Currey knew this to be true at the time, although there is no known admission from Currey himself that he knew this, and others have disputed that the tree, based on observation alone, was obviously much older than the others. Another uncertainty is that it is not clear why the felling of such an old tree was necessary given the topic Currey was studying. Since the Little Ice Age started no more than 600 years ago, many trees could presumably have provided the information he was seeking for that time period. However, in Currey’s original report in the journal Ecology (1965) he refers to the Little Ice Age as encompassing the period from 2000 BCE to the present, thus defining the Age over a much longer time period than is currently accepted. Whether this was the common sentiment at the time is not known. In the article, Currey indicates that he sectioned the tree as much to resolve the question of whether the oldest bristlecones were necessarily confined to California’s White Mountains (as some dendrochronologists had been claiming), as to determine its usefulness in regard to studies of the Little Ice Age. Whatever the rationale, the tree was cut down and sectioned in August 1964, and several pieces of the sections hauled out to be processed and analyzed, first by Currey, then by others in later years. 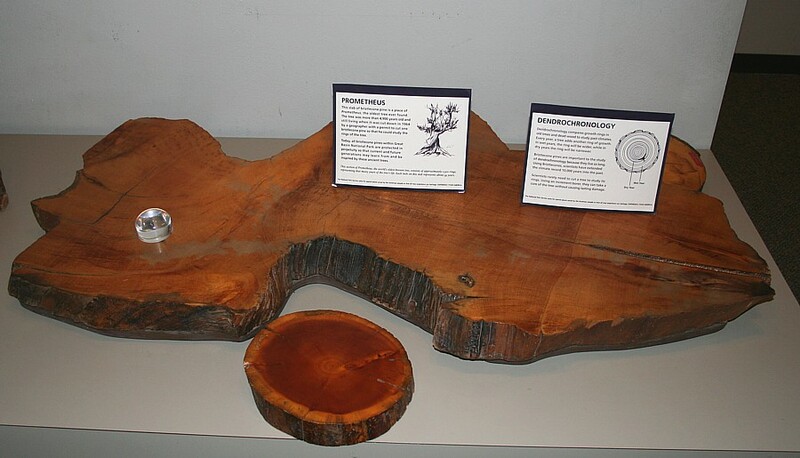 Sections, or pieces of sections, have ended up in various places, some of which are publicly accessible, including the Great Basin National Park visitor center (Baker, Nevada), the Ely Convention Center (Ely, Nevada), the University of Arizona Laboratory of Tree-Ring Research (Tucson, Arizona), and the US Forest Service’s Institute of Forest Genetics (Placerville, California). You will note that the cross sections of Prometheus that are preserved are quite small for a tree so old. Bristlecone pines live in such marginal zones that they grow very little year by year. There was considerable fallout when the general public got wind of the fact that Prometheus had been cut down, especially because it was done so cavalierly. It was one of several events that helped ignite the environmental movement. I don’t know of any suitable 5,000 year old recipes to “celebrate” this dubious anniversary, so instead I have created a dish using only ingredients that were already domesticated and being used in cooking when Prometheus was a sapling. All of these ingredients have been found in archeological sites in India more than 5,000 years ago, so I have designed a simple curry based on chicken (found in India 6,000 BCE) and turmeric (found in the Indus Valley 3,000 BCE). I suppose I could have called it “Currey’s Curry” after the protagonist here. Instead I will honor his victim. Mix the bitter orange juice, onion, and spices in a non-reactive bowl. Add the chicken, mix well, and marinate in the refrigerator overnight. Putting all the ingredients in a zip top bag, closing the top except for a small hole, squeezing out the air, and then sealing completely is the best way to marinate. Heat the oil in a heavy skillet over high heat. 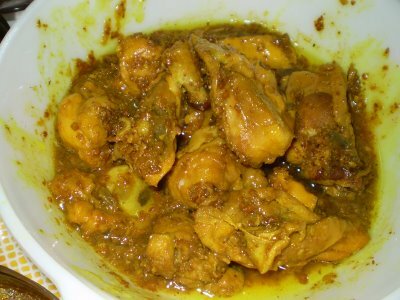 Remove the chicken from the marinade and brown, turning once. Add the marinade and the chicken stock to the skillet and cook covered over medium-high heat for about 20 minutes, or until the liquid is reduced and thickened. If the liquid has not reduced enough by the time the chicken is cooked, remove the chicken and reduce the liquid over high heat, then pour the sauce over the chicken. Serve with boiled rice, puréed lentils, and flatbread.